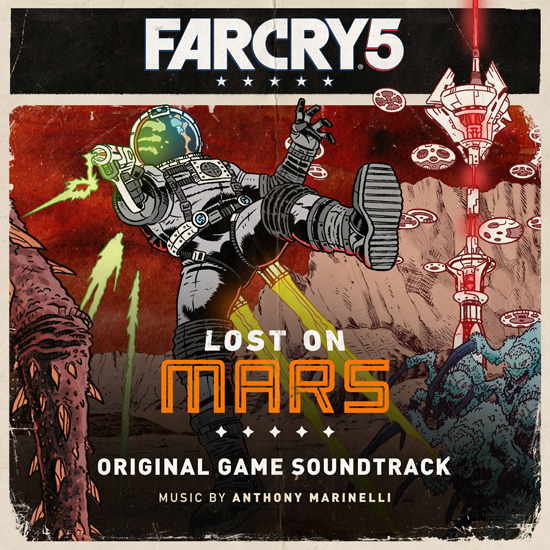 Lost on Mars continues the uncanny adventures in the Far Cry 5 Season Pass as players travel to Mars as Nick Rye and Hurk eradicate alien arachnids. Lost on Mars can be purchased as stand-alone DLC, as part of the season pass or with the Gold Edition. Lost on Mars transports the franchise’s insanity to the Red Planet as Nick Rye and Hurk teleport to Mars in an effort to restore power to ANNE, a futuristic AI representing humanity’s last line of defense. Blaster of Disaster: A single-shot space gun made of trusty alien hardware. Hellfire: Fires 15 bouncing laser balls, inflicting serious damage. Morphinator: Harness the power of science to turn predators into prey – with an explosive twist. Space Jets: Defy gravity and blast across Mars in an entirely new way to navigate extraterrestrial terrain. In addition, all Far Cry 5 players can access new Mars-themed assets in Far Cry Arcade, available now. Map builders will be able to integrate these assets into their existing maps or create new sci-fi-themed maps.